Associated Press reported Monday that an American-born Tennessee youth who became an Islamic extremist and then murdered U.S. Army recruiter Pvt. William Andrew Long on June 1 while he stood outside his Arkansas office smoking a cigarette, is sparking fears that there may be more. And United Press International reported Monday that a new study shows that breastfeeding is associated with an increase in high school grade point average, and an increase in odds of attending college. Meanwhile, Gallup reported on Monday that 40% of Americans interviewed in a new poll say their political views are conservative, while 35% consider themselves moderate, and 21% are liberal. Pundits are debating how to get more people to breastfeed so their IQ’s are higher and they vote using common sense, so the U.S. will return to a free market economy, support individual and states’ rights, and fight terrorism in a practical waterboarding-if-necessary way in America and abroad. Associated Press reported that Carlos Bledsoe’s transformation from Tennessee youth to an American-born Islamic extremist charged in a bloody rampage outside an Arkansas military recruiting station may signal an ominous new wave of violent homegrown jihadists, counterterror officials say. National security officials have long feared the emergence of a new breed of American militants who would raise little suspicion as they move in and out of the country carrying out the aims of terrorist groups like al-Qaida. Abdulhakim Muhammad, who grew up in Memphis, Tenn., converted to the Islamic faith, changed his name from Bledsoe, and traveled to Yemen in 2007. 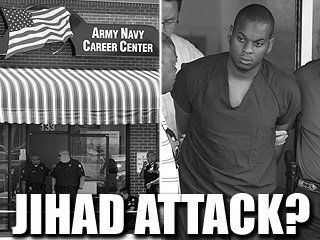 He was later arrested for overstaying his visa and deported back to the U.S. Muhammad was charged with killing Pvt. 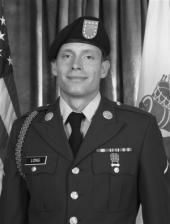 William Andrew Long, 23, of Conway, Ark., who had just completed basic training and was volunteering at the west Little Rock recruiting office before starting an assignment in South Korea. He was shot dead on June 1 while smoking a cigarette outside the building. An FBI-Homeland Security intelligence assessment document suggested Muhammad may have considered targeting other locations, including Jewish and Christian sites in several eastern U.S. cities. This is raising his IQ, right? United Press International reported that breastfeeding was associated with an increase in high school grade point average and an increase in the odds of attending college, U.S. researchers said. The study, published in the Journal of Human Capital, looked at the academic achievement of siblings — one of whom was breast fed as an infant and one of whom was not — found that an additional month of breastfeeding was associated with an increase in high school GPA of 0.019 points and an increase in the probability of college attendance of 0.014. “The results of our study suggest that the cognitive and health benefits of breast feeding may lead to important long-run educational benefits for children,” Sabia said in a statement. Gallup.com reported that thus far in 2009, 40% of Americans interviewed in national Gallup Poll surveys describe their political views as conservative, 35% as moderate, and 21% as liberal. This represents a slight increase for conservatism in the U.S. since 2008, returning it to a level last seen in 2004. 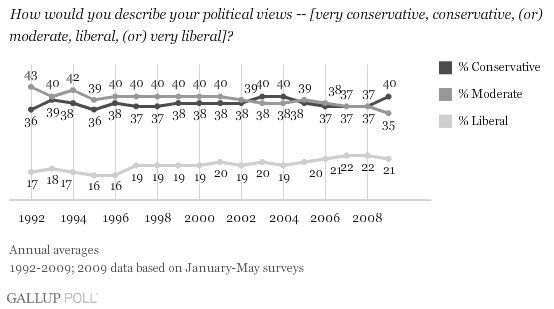 The 21% calling themselves liberal is in line with findings throughout this decade, but is up from the 1990s. These annual figures are based on multiple national Gallup surveys conducted each year, in some cases encompassing more than 40,000 interviews. The 2009 data are based on 10 separate surveys conducted from January through May. Thus, the margins of error around each year’s figures are quite small, and changes of only two percentage points are statistically significant. Thus far in 2009, Gallup has found an average of 36% of Americans considering themselves Democratic, 28% Republican, and 37% independent. When independents are pressed to say which party they lean toward, 51% identify as Democrats, 39% as Republicans, and only 9% as pure independents. No word on whether consuming breast milk or driving during lactation has any impact, but American’s were certainly distracted during the recent elections and the country has crashed into a ditch and our leadership has accelerated us toward a massive cliff. Here’s hoping we come to our senses with or without pausing for afternoon breast milk breaks. Mmmm IQ-building GPA-enhancing sweet-breast-milk breaks … who cares what Obama is doing! Sorry about that, I think Obama & Company may be driving me mad.